Linkitz is a wearable electronic toy for social play and allows kids to have fun while learning to program. 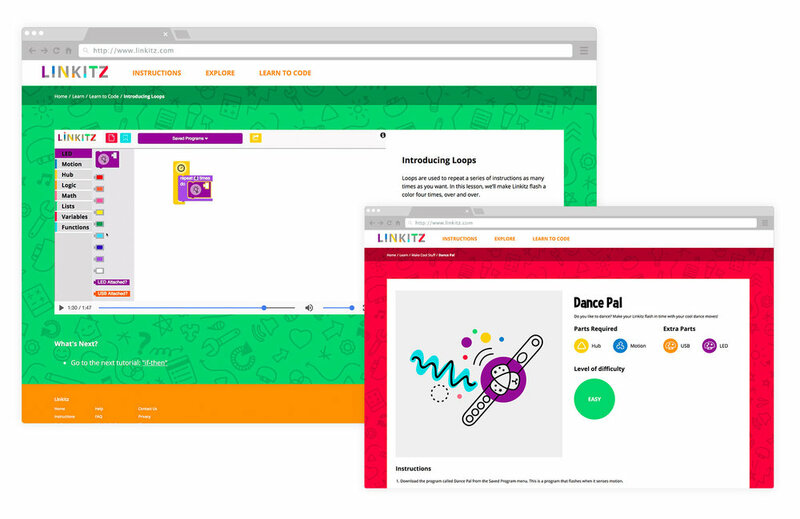 Linkitz is a new way for kids to explore technology and coding. It's a set of electronic components, or links, that snap together in different combinations to make unique, fun, wearable toys. With a set of links, girls can create and customize their own wearables. Linkitz was created as a solution to the lack of technology toys designed for and marketed to girls. Of the toys that are currently available for girls many do not feature development of spatial skills, problem solving and confidence with technology as central themes. This leaves many girls without products that specifically connect to their interests and social play styles. Currently, girls start losing interest in STEM as early as age 8. This is a problem as educators and developmental psychologists agree that STEM interest should be nurtured from a young age, when early experiences shape lives. Linkitz believes that by encouraging girls to play with technology today, we can inspire a future generation of women with a lifelong love of STEM. Most girls become interested in STEM at the age of 11-and-a-half but this starts to wane by the age of 15. Just 42% said they would consider a STEM-related career in the future. 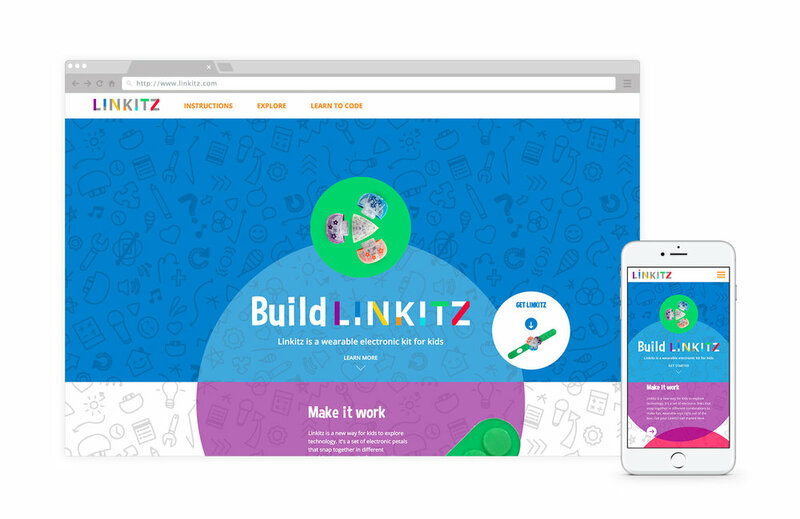 DesignedUX partnered with Linkitz to design and develop a new website that was playful and appealed to both girls and boys. The goal of the site is to be a resource for kids who are learning to program with the toy by providing example projects and experiments for them to follow. The website also provided step-by-step instructions on how to set-up and learn to code with the Linkitz kit. We are strong supporters of Linkitz mission to encourage girls to play with technology and inspire a future generation of women with a lifelong love of STEM.